The National Research Centre on Yaks (NRCY) of Dirang, Arunachal Pradesh have manufactured garments with yak wool and jute fibre which are 40 per cent warmer than the popular merino wool. According to scientists, the merits of these type of garments include protection from ultraviolet rays, light and comfortable to carry, reduce the chances of retaining body odour as it quickly absorbs sweat and releases into the air and very suitable for wearing in cold weather as they can withstand temperature upto minus 40 degree celsius. The NRCY has trained around 30 yak farmers to engage in the production of the garments like jackets, sweaters, caps, reports The Deccan Herald. The yak farmers have been trained at ICAR-National Institute of Research on Jute and Allied Fibre Technology in Kolkata. Tarunpal Singh, a scientist of NRCY said that some tourists have already picked up the garments which have been displayed for sale at the institute. He also added that the institute is now looking for garment companies or skill development groups for commercial production. Singh said that the yak farmers have been taught innovative ways to use yak wool to earn more income as earlier they used to treat the wool as a waste item and only used it to prepare ropes at home. 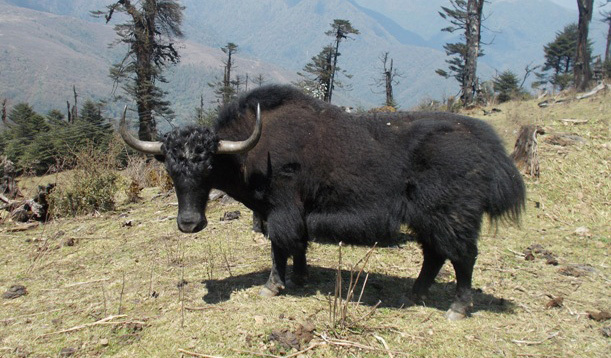 There are more than 13,700 yaks in six blocks of Tawang and West Kameng districts in Arunachal Pradesh.